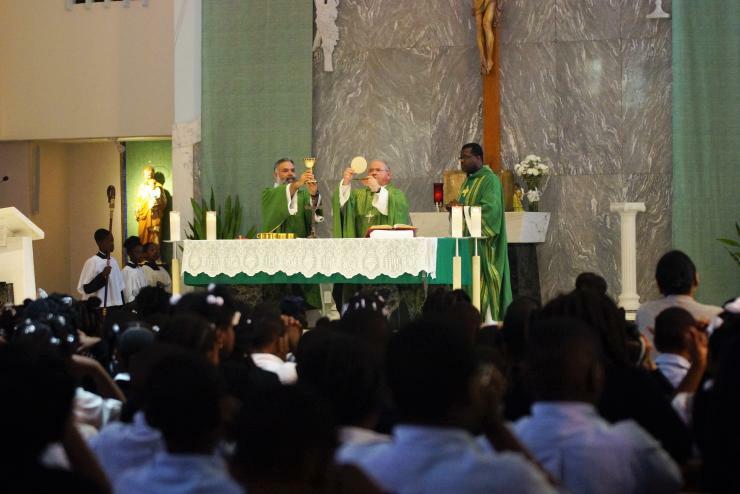 Auxiliary Bishop Peter Baldacchino speaks to students from St. James and Holy Family schools in North Miami during a Mass Feb. 1 to celebrate the end of Catholic Schools Week. Bishop Baldacchino celebrated the Mass alongside St. James' pastor, Msgr. Chanel Jeanty. 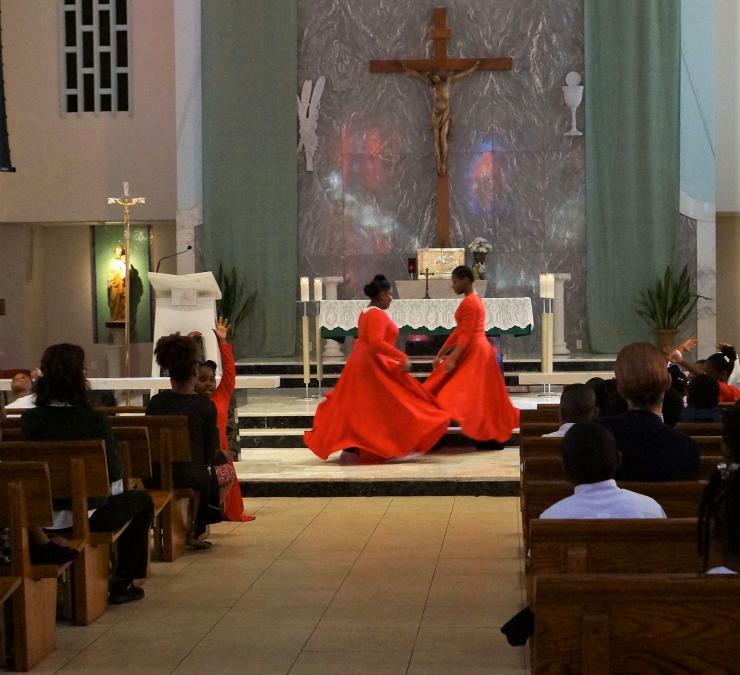 St. James and Holy Family schools in North Miami came together to celebrate the end of Catholic Schools Week. Auxiliary Bishop Peter Baldacchino celebrated the Mass alongside St. James' pastor, Msgr. Chanel Jeanty. At far left is Deacon Carlos Ramirez. Students from St. James and Holy Family schools in North Miami dance to Amazing Grace at the conclusion of the Mass the two schools celebrated to mark the end of Catholic Schools Week. Students from St. James and Holy Family schools in North Miami dance to Amazing Grace at the conclusion of the Mass the two schools celebrated to mark the end of Catholic Schools Week. Students from St. James and Holy Family schools in North Miami dance to Amazing Grace at the conclusion of the Mass the two schools celebrated to mark the end of Catholic Schools Week. 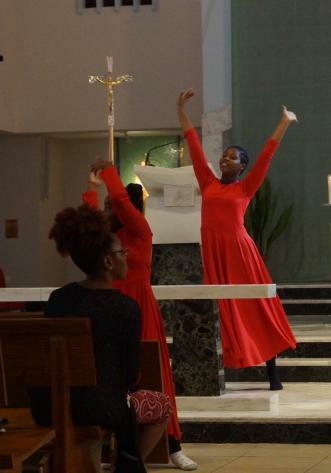 NORTH MIAMI | St. James and Holy Family schools in North Miami came together Feb. 1 to celebrate the end of Catholic Schools Week. Auxiliary Bishop Peter Baldacchino celebrated the Mass alongside St. James' pastor, Msgr. Chanel Jeanty.